The name SIM is an abbreviation of 'Simple Intelligent Movement' in reference to the surprising flexibility of this chair by Jasper Morrison. The structure is enhanced with generously proportioned seat and back shells for excellent comfort even over prolonged periods. 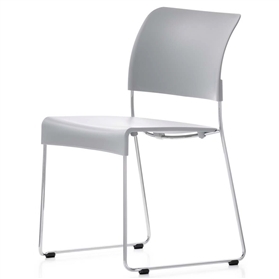 The chair can be stacked and is available in a selection of colours.